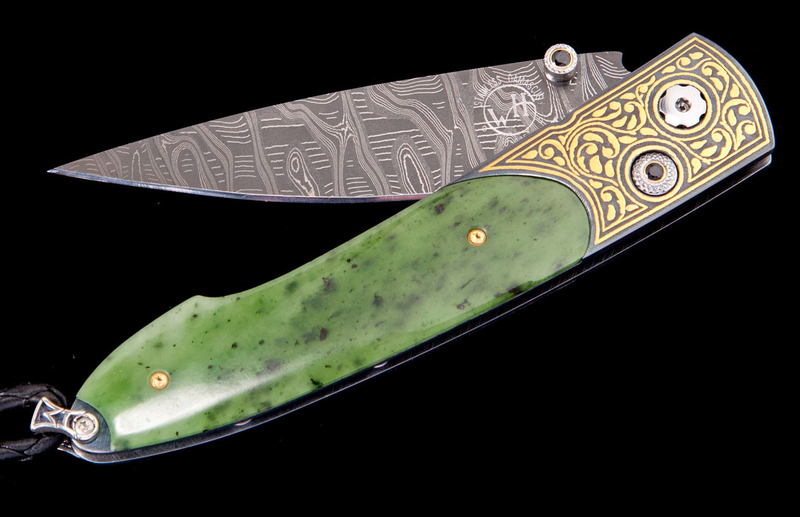 The Lancet Bangkok Knife features Jade, Koftgari, and a Damascus Steel Blade. 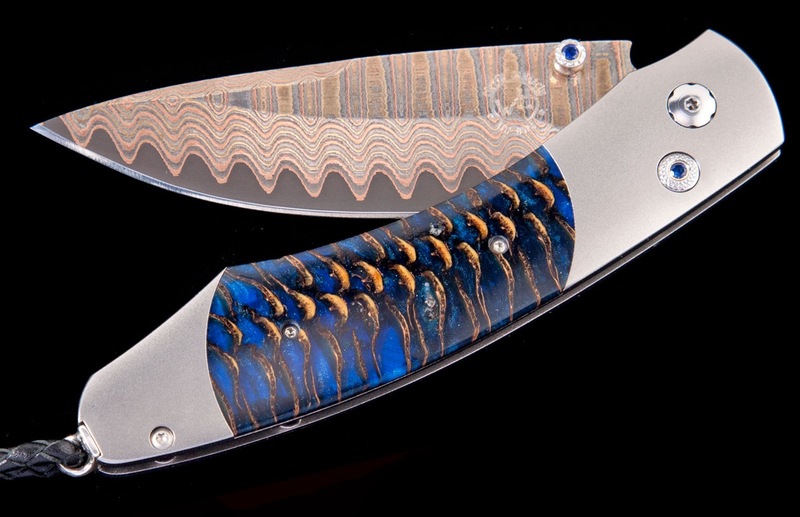 The Spearpoint 'Blue River' features a sleek Damascus blade and an inlay of blue spruce pine cone. 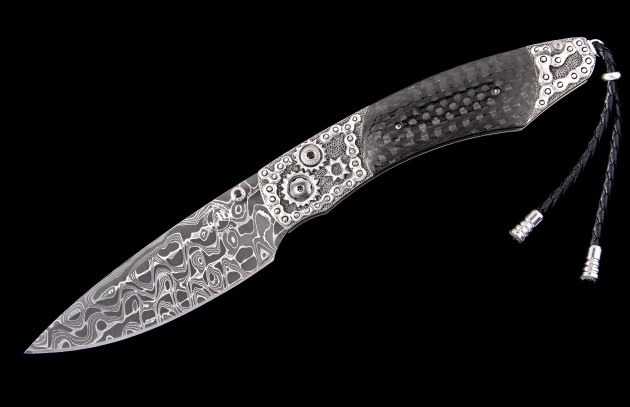 The Spearpoint 'Chain Break' features carved sterling silver and a sleek Damascus blade, inlaid with Carbon Fiber. 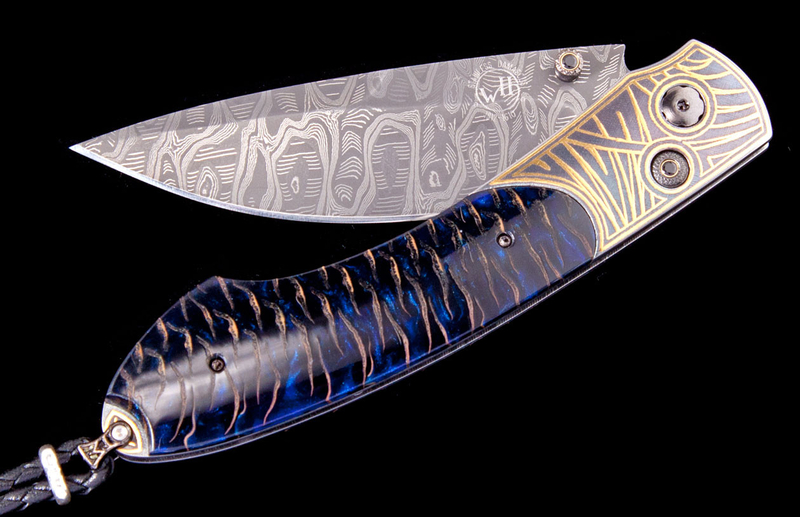 The Spearpoint 'Glade' features a sleek Damascus blade and Koftgari with colorful blue spruce Pine Cone. 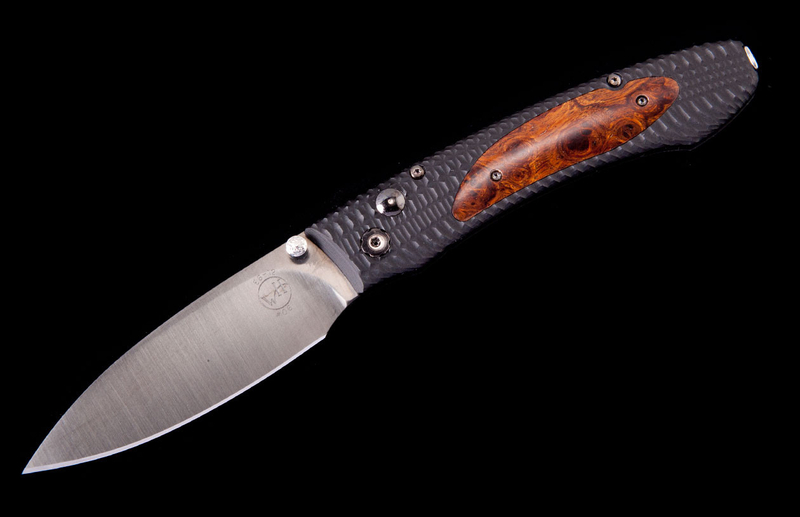 The Spearpoint 'Pine Ridge' features a sleek Damascus blade and inlay of Blue Spruce Pine Cone. 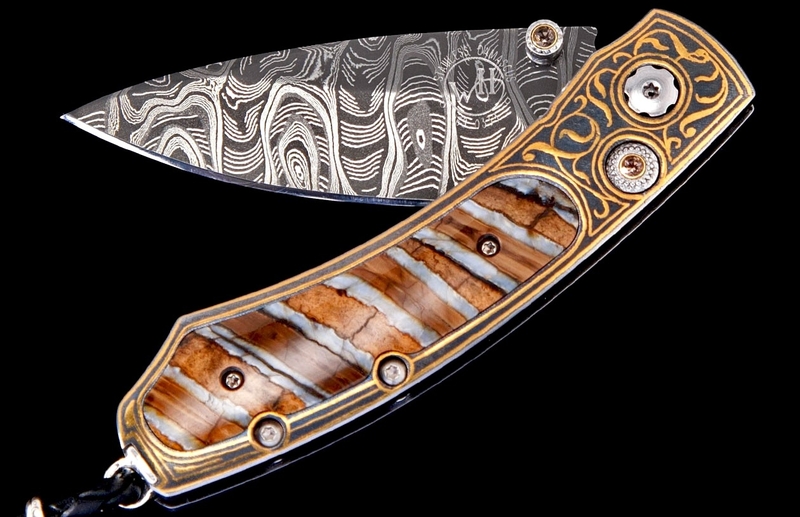 The Kestrel 'Destiny' Luxury Knife features inlaid with wooly mammoth tooth and engraved with 24Kt gold koftgari. 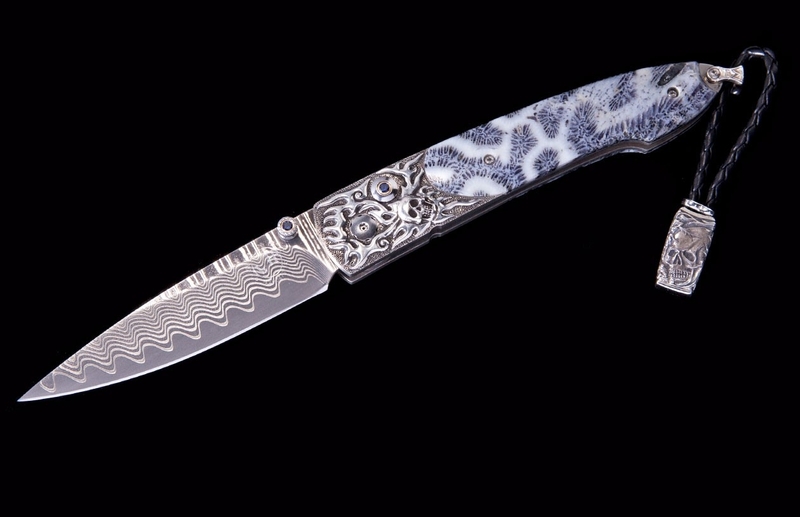 The Lancet Inferno Knife features Fossil Coral, Hand-Carved Sterling Silver, and a 'Wave' Damascus Steel Blade. 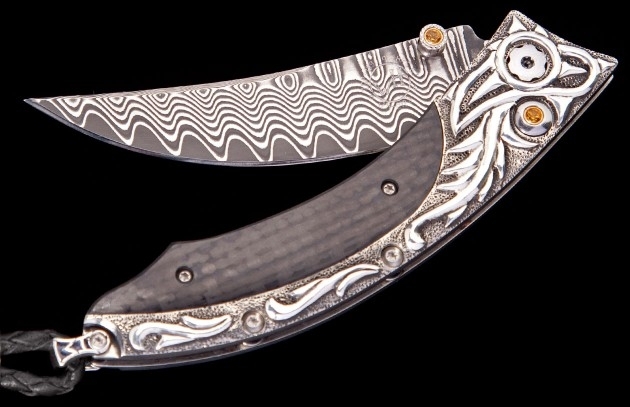 The Persian Glide knife features Sterling Silver, Carbon Fiber, Damascus Steel, and Spessartite. 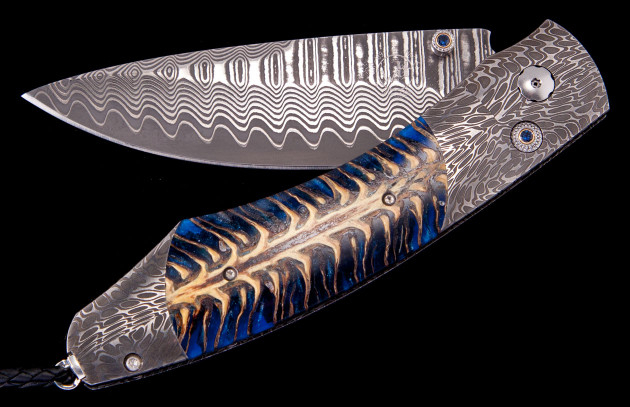 The Rough Marlin Knife features Fossil Coral and a beautiful hand-forged Damascus Blade. 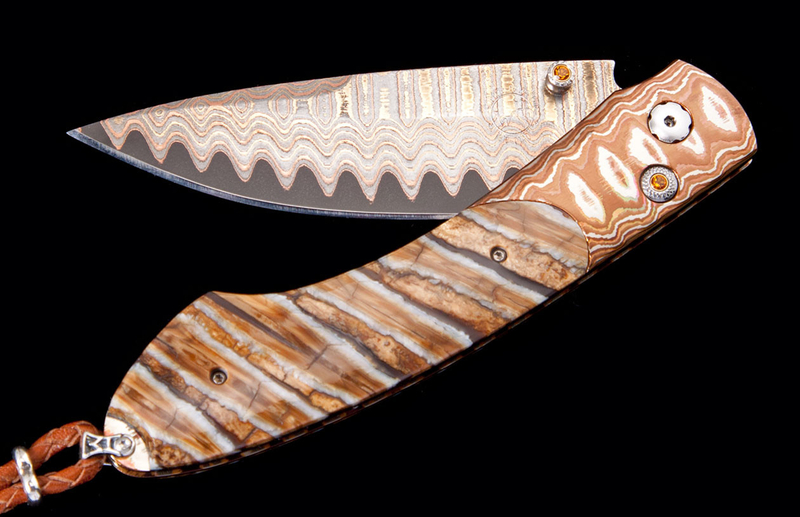 The Spearpoint 'Amber Butte' features a sleek Damascus blade and a Mokume Gane Handle inlaid with colorful Fossil Mammoth Tooth. 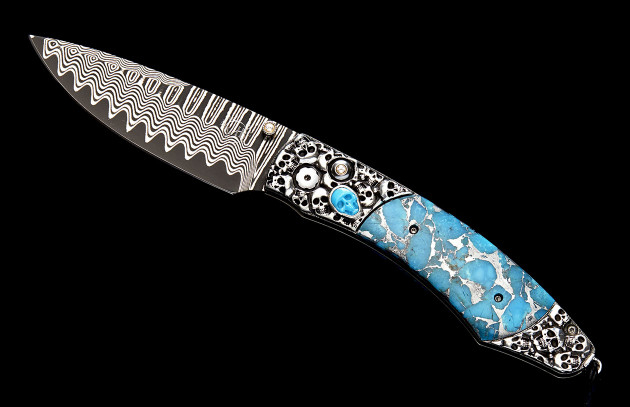 The Spearpoint 'Jerome' features a sleek Damascus blade, carved sterling silver and Turquoise. 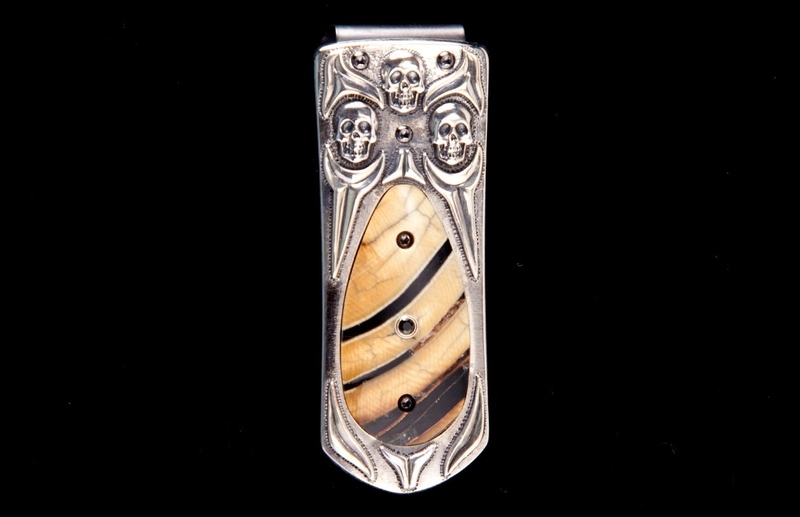 Zurich Calaveras is a beautiful money clip featuring Damascus and Wooly Mammoth Tusk. 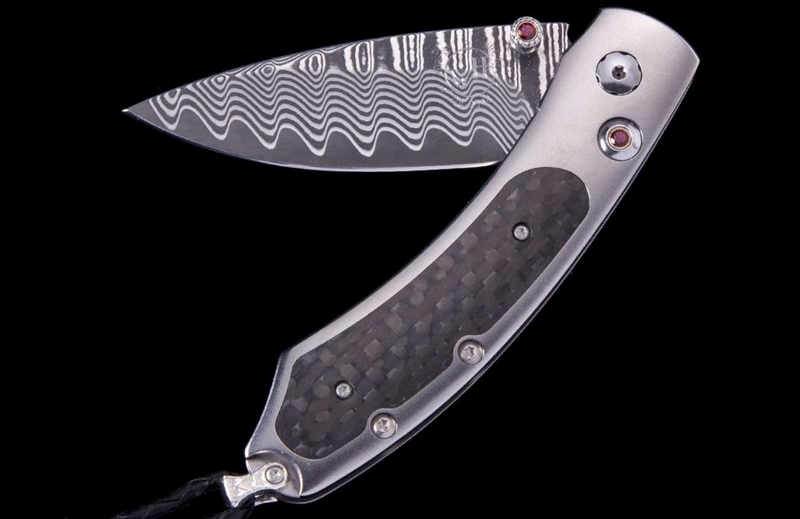 The Kestrel 'Blaze' Luxury Knife features a light and resilient frame in aerospace grade titanium, inlaid with carbon fiber. 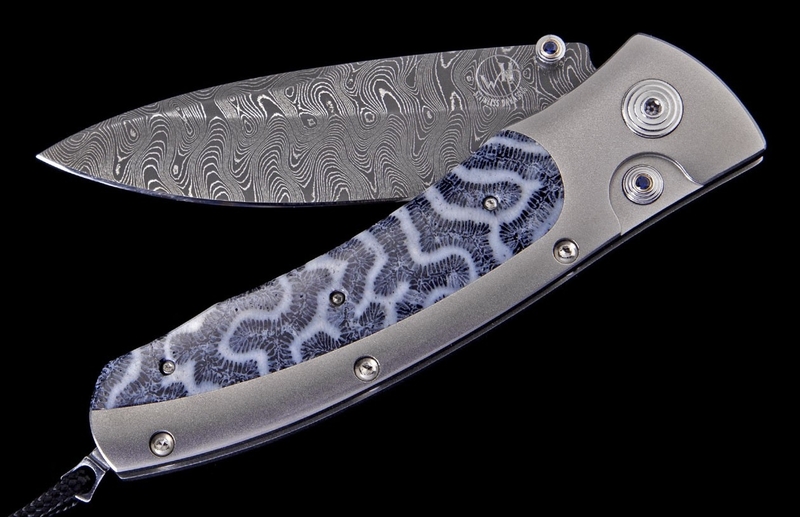 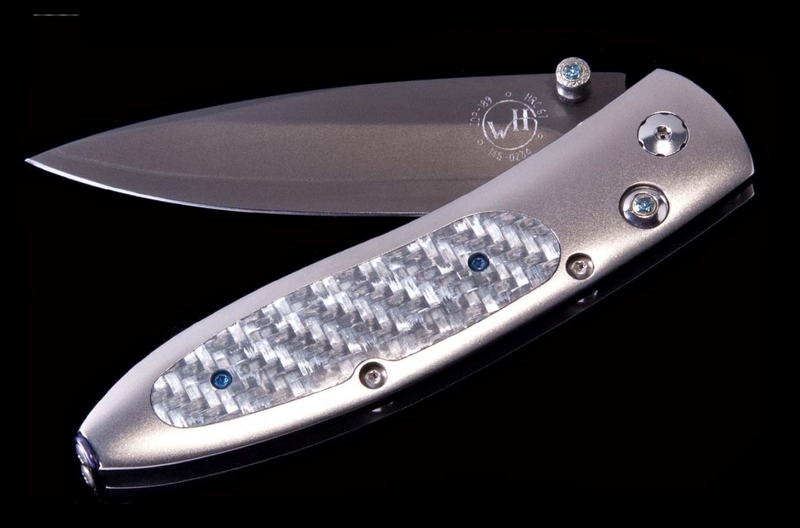 The Monarch Nano features Wave Damascus Blade and Blue Topaz.